Learn more and prepare for your child’s Old Sturbridge Village Adventure. Box lunches contain a sandwich, celery and carrot sticks, apple, and dessert. Choose either a turkey, tuna, or American cheese sandwich. Box lunches ($8.50 per day, minimum of two days for the April programs, $43.00 for the summer program (full session only) to be ordered and paid for with registration. This program allows you to drop off your child anytime after 7:30 a.m. and pick them up anytime until 5:30 p.m. Kids can play games, do arts & crafts, and hang out with camp friends under the supervision of an adult personnel. Space is limited for this program and we request that you register in advance. Package includes a discounted room and continental breakfast at the Old Sturbridge Inn & Reeder Family Lodges. Call 508-347-3362 for more information and mention that you are an Old Sturbridge Village Adventures Family to receive the package rate. The Discovery Adventures Registration Packet will finalize your registration process. These documents will provide us with important information about your child. We ask that you read through it and complete and return the following forms. We have also included a checklist to make this process easy for you. The Medical Information and Release Form is necessary in the event of an emergency. 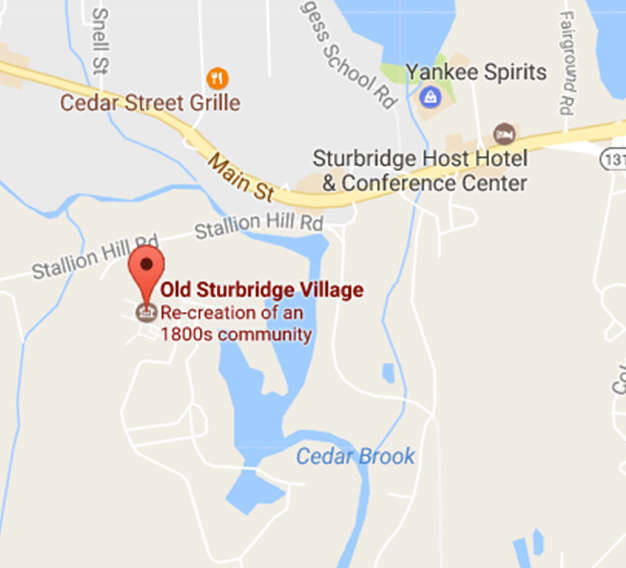 Employees of Old Sturbridge Village are not licensed to distribute or administer medications of any type. We ask that you complete this form in full—noting any special medical, physical and/ or social issues that we should be aware of. The more information you provide us will ensure that your child has a safe and enjoyable OSV adventure. The Model Release Form requests parental consent to publish photographs taken by Old Sturbridge Village or news photographers, and materials produced by participants. Photographs may appear in our Old Sturbridge Village Visitor magazine, brochures promoting our programs, website, annual reports, newspaper articles, etc. Children may not attend this program without signed parental consent. The Transportation Form is necessary to fill out so that we know who is allowed to pick up your child every day. The Family Agreement provides the guardian/parent and child with a general understanding of the expectations of Old Sturbridge Village from those attending an Old Sturbridge Village Adventure program. The Before/After Extended Day Care/Lunch Enrollment Forms are only necessary if your child will take part in the before/after day care program and/or the lunch program. These forms are all found in the registration packet by clicking here. All forms must be completed each time your child attends a Discovery Adventure program. Forms are required two weeks prior to the program start date to expedite the check-in process on your first day. 1. How do I complete my child’s registration for Discovery Adventures? After registering your child for the session of their choice by phone or online, please fill out the registration packet. Information about our registration forms and the registration packet can be found here. This paperwork must be filled out each year your child participates in Discovery Adventures. It includes the following documents: medical information and release form, transportation permission form, extended care and boxed lunch enrollment form, family agreement, and model release agreement. To expedite the check-in process on the first day of the program, please submit this paperwork at least two weeks in advance of the program’s start date. 2. What are the hours of the Discovery Adventures program? Adventures hours are 9:00 a.m. to 3:00 p.m. There will be a brief introduction on the first morning of your child’s program—please plan on staying for this introduction. After the initial day, morning sign-in begins at 8:55 a.m. at the Museum Education Building. Afternoon pick-up is at 3:00 p.m. each day at the same pre-assigned location. Early drop-off and late pick-up may be arranged prior to camp by participating in our Extended Day Care program. Please do not drop your child off in the parking lot. Parents and guardians are required to sign their child into their group’s space each morning. At the end of the day, children will wait in the program spaces for their parent or guardian. 3. I noticed that the museum is closed to the public on Mondays and Tuesdays. How does this impact Discovery Adventures? Good question! On Mondays and Tuesdays, only OSV staff and Discovery Adventures participants will be able to enter museum grounds. Parents and relatives are welcome to visit their child on Wednesday, Thursday, or Friday of the week. (See question 9 for more details.) Besides this, the program goes on as planned. Since the museum is closed, the Adventurers get more attention from our costumed historians and get to try more hands-on activities in the Village that they might not get to experience when the museum is open to the public. For example, Adventurers might get to cook over the hearth in the Bixby House, do more in-depth chores with the farmers at Freeman Farm, or get an special ice cream lesson from one of our talented interpretation staff. 4. What will my child be doing throughout the week? We will post a schedule of your child’s activities. This schedule is subject to change. The camp schedule is flexible in order to take advantage of special activities and events in the Village or to respond to weather concerns. Activities might include cooking, crafting, attending performances, visiting the museum’s collections building, doing chores in the gardens or on the farm, visiting craftspeople in the Village, and working closely with our costumed historians. Activities are tailored to the theme of the program and the age of its participants. 5. What will my child wear for Discovery Adventures? Plain white or gray knee-high socks. Young ladies may want to wear plain white or gray tights for the early spring program. Girls who choose to wear a shirt under their dress should opt for a neutral-colored shirt or tank top. Socks and shoes must be worn at all times. Many programs involve extensive walking, so wear shoes that are comfortable. We recommend that you leave these items and all valuables at home. The museum is not responsible for lost items. All summer Discovery Adventures are costumed. Occasionally we offer a non-costumed option in the spring. For non-costumed adventures, socks and sneakers that are comfortable for extensive walking are recommended, and must be worn at all times. Have children dressed for the weather. We recommend that you leave personal, electronic and valuable items at home. The museum is not responsible for lost items. 6. Won’t my child get hot in a costume? It is true that costumes can be hot during the summertime. Because of this, we recommend that the costumes not be worn over other clothing. Additionally, our staff is very sensitive to warm weather concerns and makes an effort to spend time in cooler spaces around the museum on very hot days. Adventurers are also provided with mugs and are encouraged to drink water throughout the day. 7. What should my child bring for lunch and snack? Each day we will provide a reproduction lunch container, a mug, and a beverage. For costumed adventurers: please pack a lunch that resembles one of the 1830s using foods such as: bread, cheese chunks, homemade-looking cookies, seasonal fruit, plain donut holes, etc. Please wrap foods in wax paper or cloth, or use glass or metal containers. Lunch will generally take place in costume in front of the public. We appreciate your efforts to keep your presentation authentic. For all adventurers: We will carry our lunches with us during the day, so please pack foods that can remain at air temperature. You may contact our office to pre-order an 1830s-inspired box lunch if you have not already done so. A beverage and a cookie from our Bake Shop will be served at the end of the day. This cookie is not allergen-free, so please consider sending an alternate snack for your child if he or she has allergies. 8. My child has allergies. What should I take into consideration? Our 19th-century agricultural environment contains many common allergens such as pollen, dust, bees, nuts, animals, etc. We are unable to alter activities to prevent exposure to these conditions. If your child is prone to life-threatening allergies and is likely to require medical attention in such an environment, you may wish to reconsider participation in this program. Please note that employees of Old Sturbridge Village are not licensed to distribute or administer medications of any type. 9. Will I be able to visit my child during the day? Yes! If parents wish to visit the Village during the program and are not Old Sturbridge Village members, we allow two adults per child to enter the Village for free during Wednesday, Thursday, or Friday. Visitors need to obtain a sticker from Discovery Adventures staff before entering the museum. For all other guests, reduced admission tickets are available at a special rate of $14.00 from the Main Entrance (OSV Visitor Center). (Siblings age 3–17 are admitted at the youth rate, $14.00). Children under 3 are admitted free. If you plan to visit often, you may find it more economical to purchase a Village Membership or a season pass. Tickets can be purchased at the Visitor Center. Please understand that for the participants to have a truly immersive experience, picture taking and contact with the children needs to be from a distance. 10. What is the discount for members and multiple children from the same family to attend? Members can attend Discovery Adventures at a reduced rate as well—usually $25 off the non-member rate. 11. We are coming from out of town and would like to stay at OSV’s Reeder Family Lodges. What should we do? 13. What if I have a question that isn't listed here? Please call (508) 347-0274 or email osved@osv.org if you have any additional questions.